How Far is Pratham Heights 1? Pratham Heights 1, A seamless amalgamation of luxury, comfort and style blend to provide a truly sophisticated lifestyle. These Residential Apartments in Noida are beautifully planned keeping in mind the architecture which can soothe your senses whenever you step into your house after a tiring day from work. Pratham Heights 1 in Sector-73 strives for customer satisfaction and believes in building world-class projects without compromising on quality standards, innovation and timely delivery. With well-ventilated apartments and uncluttered nature space, Pratham Heights 1 makes you feel that every day is an excursion. 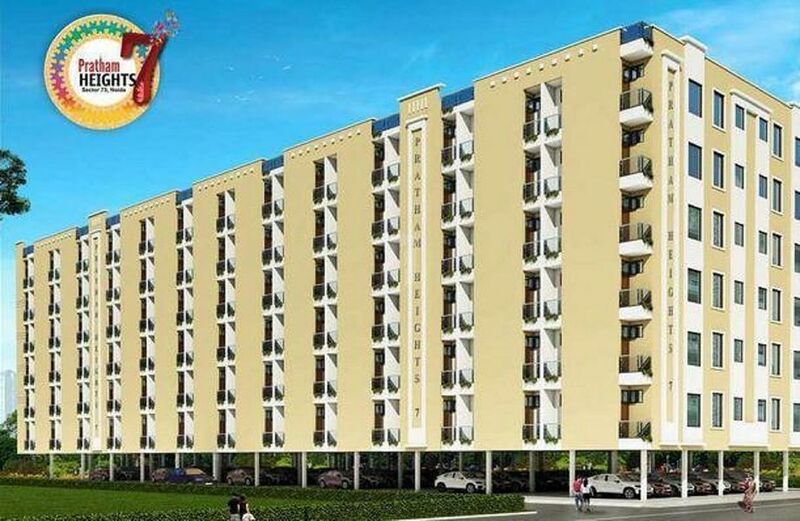 Pratham Heights 1 is one of the best investments in Residential properties in Sector-73, Noida. The Apartments in Pratham Heights 1 are strategically constructed keeping in mind excellent connectivity of public transport. Pratham Heights 1 presents 1 BHK and 2 BHK Apartments in Noida. The price of Apartments at Sector-73 in Pratham Heights 1 is well suited for the ones looking to invest in property at Noida. The External Walls are coated with Paint/Texture paint. Ceramic tile are used in Utility area & toilets. Areas exposed to water such as toilets, balconies and terraces water proofing treatment is done. Aluminum sliding doors with glass panel for all balconies. Windows are powder coated aluminum window system with glass. The Internal doors are made up of salwood/ veneer/ laminate and fixed with good quality hardware. The Main door is made up of teak wood frame, paneled shutter finished with melamine polish with good quality hardware. Granite platform/counter with stainless steel sink and 2' height ceramic tile dado above platform. Concealed fire retardant wiring with modular switches.